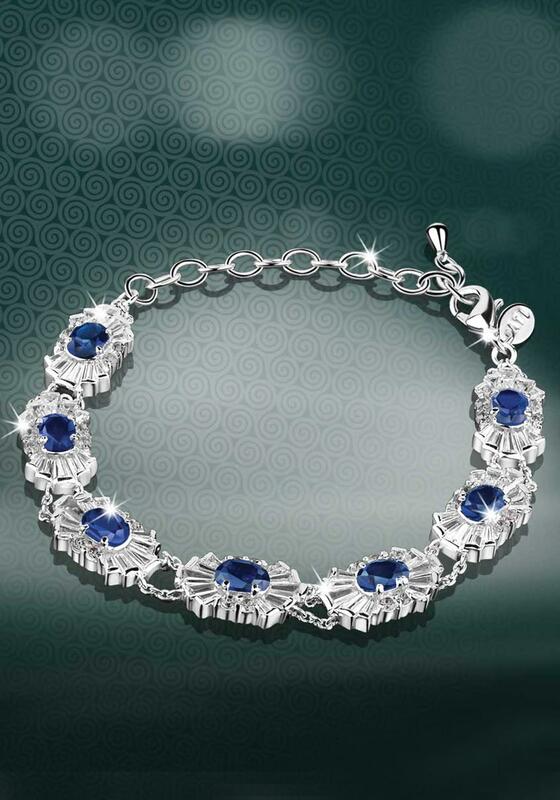 From the Maureen O'Hara collection comes this stunning, silver plated bracelet with anti tarnish protection, featuring seven simulated sapphire crystals surrounded by baguette-cut cubic zirconia. Presented in a Maureen O`Hara gift box. Matching earrings and pendant also available in this collection. 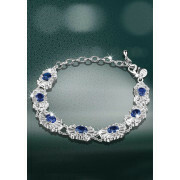 All jewellery should be cleaned occasionally with soft cotton cloths. Perfumes, hair sprays, deodorants, oils, soaps, creams etc. can tarnish metals and often cause severe damage including discolouring pearls. Remove rings before washing up. Regularly check the claws holding in stones. When storing jewellery do not heap everything together.